You’ve been told it’s in your head, you’re simply stressed out, just “live with it”. Your medicine cabinet is overflowing — yet your body is crying for help. If you’ve been tested like crazy (and feel like you’re going crazy), we can help. Our practice is where symptom-patching ends and whole functional & metabolic healing results begins. You can reclaim your body, metabolism and spirit from thyroid and autoimmune disorders. You’ve been told it’s all in your head, you’re “simply” stressed out. Your medicine cabinet is overflowing or, even worse, you’ve been told to “live with it”—though you know your body is pleading for help. If you’ve been tested like crazy (and sometimes feel like you’re going crazy), we can help. Our diagnostic nutrition practice is where symptom-patching ends and true thyroid, autoimmune and metabolic healing begins. Being healthy shouldn’t be so hard. You’ve talked to doctors, naturopaths—every “healer” under the sun—but you still don’t feel right. Each practitioner sends you down another rabbit hole or piles on expensive supplements, one-size-fits-all food restrictions or, even worse, hormone replacement therapies. These tactics often produce no lasting benefit because they aren’t effectively tailored to your specific challenges and don’t resolve your underlying imbalance. Is this what healing looks like? The answer is no. That’s where our practice is so different. 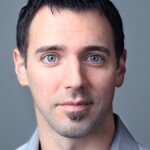 We are Heather & Damian Dubé, Functional Nutrition, Energy Medicine & Energy Psychology Practitioners, and Co-Founders of the e3 Energy Evolved® System—a proven, bio-individualized healing methodology that finally puts all the energy pieces together to free you from thyroid, autoimmune & fatigue disorders forever. You don’t have to go it alone anymore. 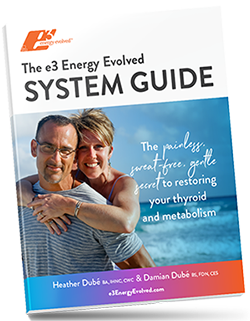 We are Damian and Heather Dubé, Diagnostic & Functional Nutritionists and Co-Founders of the e3 Energy Evolved™ System—a holistic, bio-individualized, natural healing methodology that can restore your body from autoimmune and metabolic disorders.